Head to ancient Egypt in Desert Cats – the latest video slot from WMS. You can win up to 55 free spins – there’s also 5 jackpots with the top one worth 2,000 times your total bet. Desert Cats is a 7 reel, 50 payline video slot that can be played from as little as 50p a spin across desktop, mobile and tablet devices. Set in ancient Egypt, it has a land-based feel visually and features ankh crosses, stone tablets, death masks, Bastet and lions on the reels. There also an Egyptian lady. The lion is the wild and performs the usual substituting duties – wilds can appear on the reels as 1×1 or 2×2 in size. On every base game spin, 2 adjacent reels will showcase only 2×2 wilds. If they have gems on them, you can win jackpots. 6 or more red gems will give you a fixed jackpot – if you manage to get 10 red gems, you’ll pocket the Mega Jackpot which is a whopping 2,000 times your total bet! You can also benefit from the Free Spins Bonus feature where up to 50 free spins can be won initially – with 5 more free spins up for grabs with a retrigger, 2 sets of 2 adjacent reels will showcase only golden wilds meaning 4 reels will only display golden wilds. 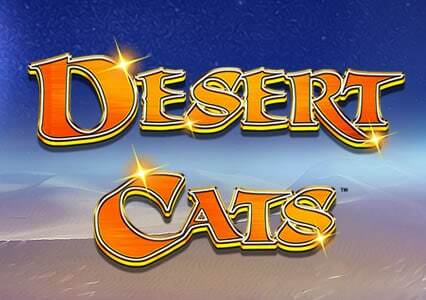 For more details, and to play for free, check out the Desert Cats video slot review. 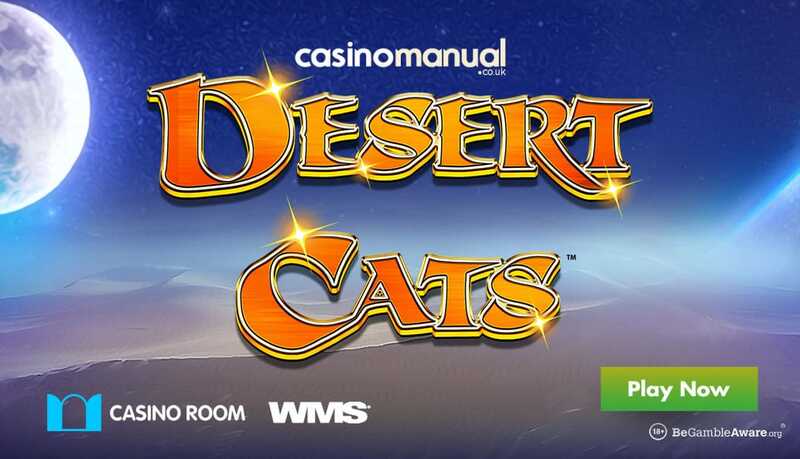 I recommend you play Desert Cats at CasinoRoom – with video slots from WMS, Net Entertainment, Yggdrasil Gaming, Play ‘N Go, Microgaming and Barcrest, you can play games like Play ‘N Go’s Raging Rex, Yggdrasil Gaming’s Trolls Bridge, WMS’ Battleship Direct Hit, Microgaming’s Book of Oz and NetEnt’s Vikings amongst others. They have great customer support and same-day cashouts with no fees either. New UK players are welcomed with 2 offers on each of your first 5 deposits.